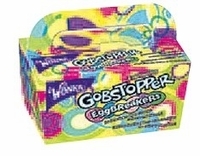 Wonka everlasting gobstopper egg breakers are the perfect Easter candy for placing in Easter Baskets. Great tasting jawbreakers in the shape of little eggs that not only change color, but also flavors. Each carton of egg breakers is 3.5oz.